K.S. 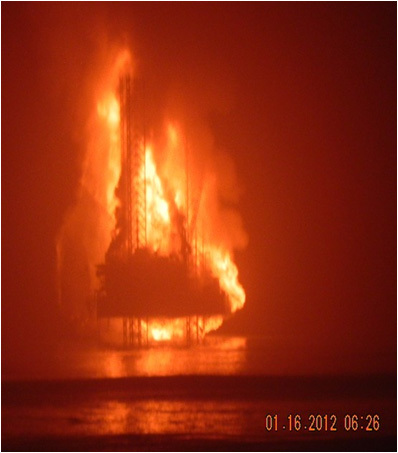 Endeavor jackup drilling rig burning off Nigeria’s coast on January 16, 2012. Photo courtesy Chevron. MODIS/Terra true-color satellite image of Niger Delta region, January 17, 2012. Clouds and haze obscure much of the area. 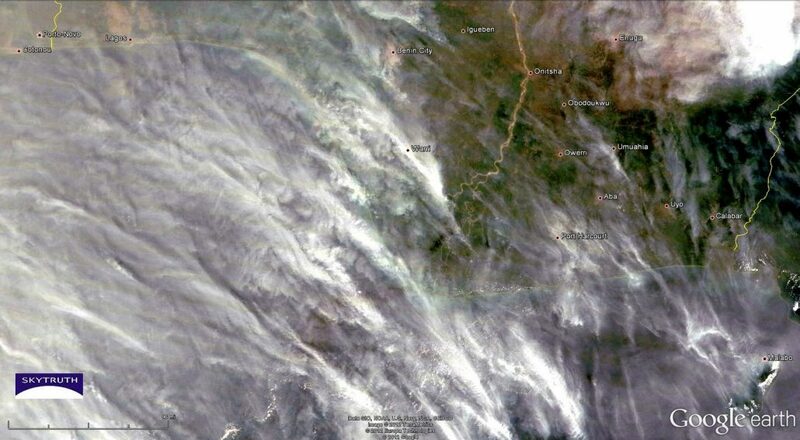 MODIS/Terra 7-2-1 infrared composite of Niger Delta region, January 17, 2012. 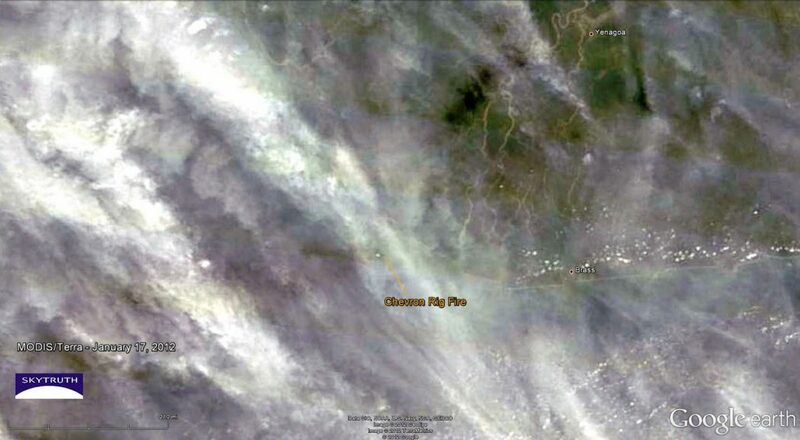 Clouds and haze are minimized, and the burning rig appears as a bright red spot just offshore along the curve in the Delta coastline. 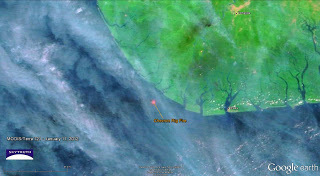 Detail of MODIS true-color image along Niger Delta coastline, January 17, 2012. 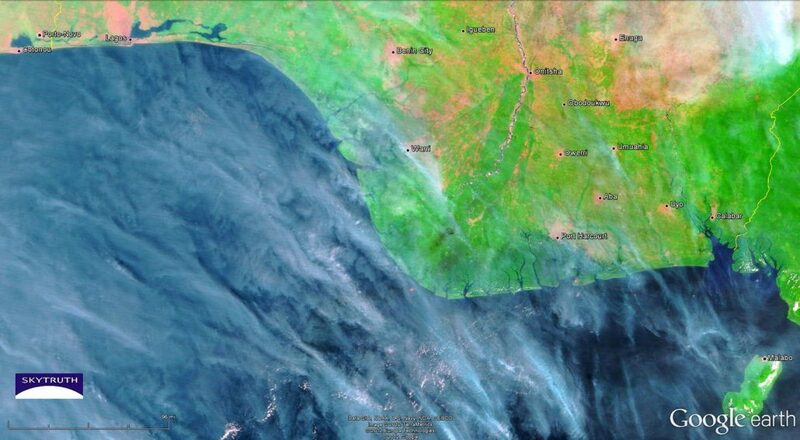 Detail of MODIS 7-2-1 infrared image along Niger Delta coastline, January 17, 2012. Bright red spot marks inferred location of the burning K.S. Endeavor jackup drill rig. Of course, we’re continuing to monitor this pollution-plagued part of the world. Chevron Drill Rig on Fire, Offshore Nigeria Blowout off Nigeria?